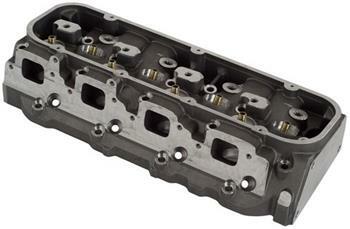 RHS Pro Action Cylinder Head - Dezod Motorsports Inc - Home of the automotive performance enthusiast since 2002. Pro Action Cylinder Heads, the cornerstone of the RHS line, are ideal for a variety of performance applications, including hot rods, drag racing, oval track racing and marine. Available in aluminum, Pro Action™ heads deliver more features, higher flow characteristics and better finish quality than other competitive brands.